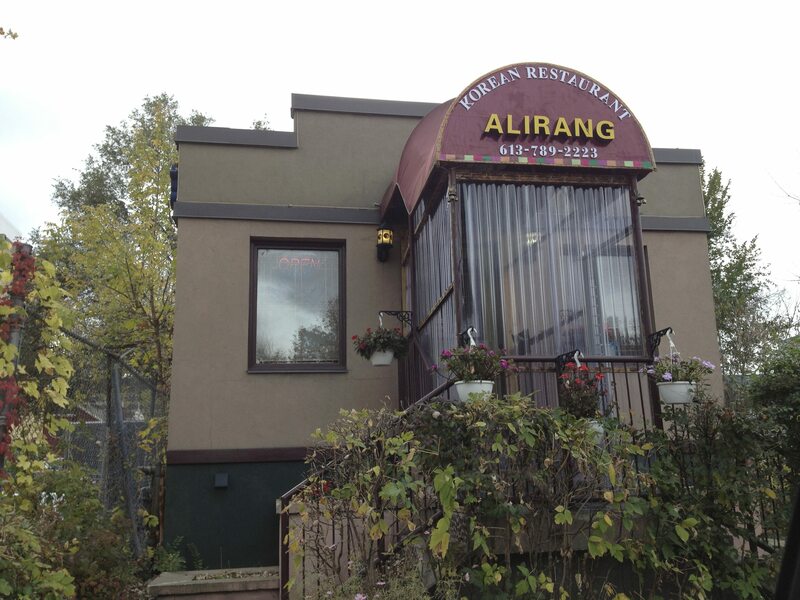 Alirang on Nelson Street serves up a warm and flavourful lunch. Photo by Anne DesBrisay. There’s something about the comforting smell of sesame oil … whenever I catch a whiff, I find myself longing for Korean food, for stone pot bibimbap. Heck, just saying ‘bibimbap’ puts me in a fine mood — and for those wonderful Korean side dishes, banchan, that come out as prelude to the main event. 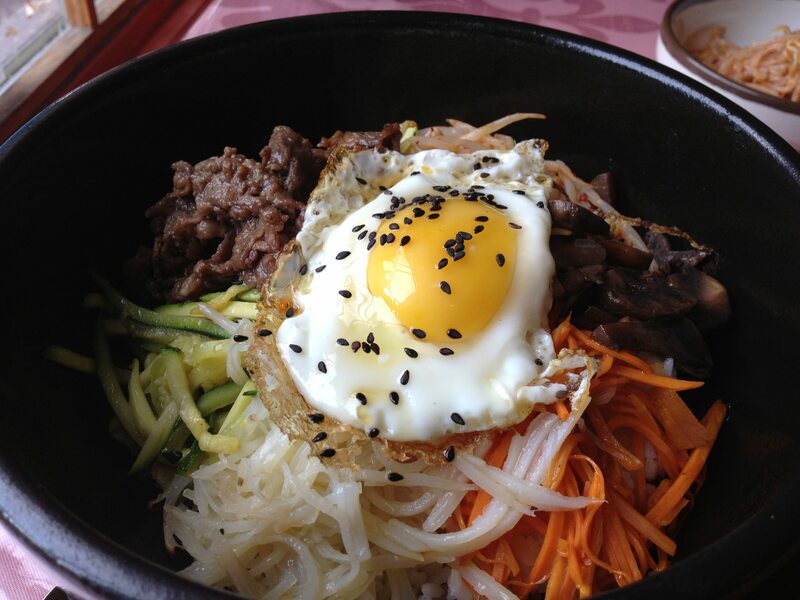 The Korean restaurant Alirang has a fine version of dolsot bibimbap. It comes out sizzling in its stone bowl, the rice bed crusting happily on the bottom, the top a wheel of treats: spinach, carrot, zucchini, yellow bean sprouts, radish, rehydrated shiitake mushrooms, meat (I chose the sweet, marinated barbecued beef, bulgogi) all crowned with a lightly fried egg and black sesame seeds. Dolsot Bimimbap from Alirang. Photo by Anne DesBrisay. The contrasting flavours and textures, the garlic, sesame oil, soy sauce, and chili paste (gochujang) all contribute their parts to the whole. It’s a shame, but you gotta do it: take your chopsticks and attack. Muck it all up. It’ll look like the dog’s breakfast but the flavour is pretty wonderful.